Discover the power of Ketones, the cleanest, highest form of energy your body produces, prefers and gets from burning fat with PRIME! So What Exactly is Kegenix PRIME? Kegenix Prime provides bioidentical, bioactive Ketones. Its multi-patented proprietary formula developed through years of scientific research by Dr. Dominic D’Agostino, PhD. at the University of South Florida is designed to deliver the most ketones per gram possible. PRIME mimics the body’s natural ketogenic process. Only PRIME delivers the special combination blend of ketones to both elevate and then SUSTAIN your ketone levels so you can get all the benefits of ketones. PRIME really tastes great! This is so important for a supplement that is intended to be taken every day and multiple times a day. HIGH POWERED KETONES THAT TASTE DELICIOUS: Kegenix PRIME, our multi-patented, advanced ketone-boosting combination technology is unique, exclusive and works to first, directly provide your body usable ketones and second, helps your body produce its own ketones. This special combination technology aids your body in achieving Ketosis. Did you know that ketones (fat) deliver 225% more energy than carbs (sugar) and is the body’s preferred fuel? 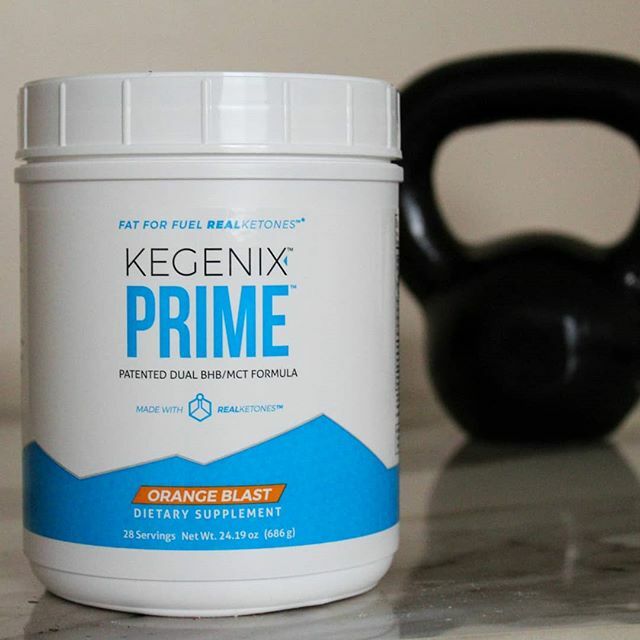 NO NEED TO START A RESTRICTIVE DIET: Kegenix PRIME provides the ketones and natural ketone producing ingredients to help suppress your appetite and cravings, while providing the missing energy you need to perform your best while also preserving your muscles. Prime can be taken multiple times per day by those who just want to realize the benefits of ketones regardless of their diet or can be used as a “power tool” for those who want to easily enter into and maintain a ketogenic, paleo lifestyle. MAXIMUM BRAIN FUNCTION, CLARITY & ENERGY LEVELS…YES: No one wants “brain fog.” Ketones have been scientifically shown to enhance brain function, improve sleep, and increase energy all without causing jitters or nausea that come from other “stimulant” only products. Our proprietary ketone formula is 100% tested, proven and multi patented! WANT TO LOSE WEIGHT & REGAIN YOUR LOST CONFIDENCE: Our dynamic and proprietary ketone formula provides the ketones your body needs to help support your own weight loss goals. Kegenix™ PRIME provides the ketones you need to help burn fat, suppress hunger, and control those terrible sugar and carb cravings. How KEGENIX works to keep you in ketosis? 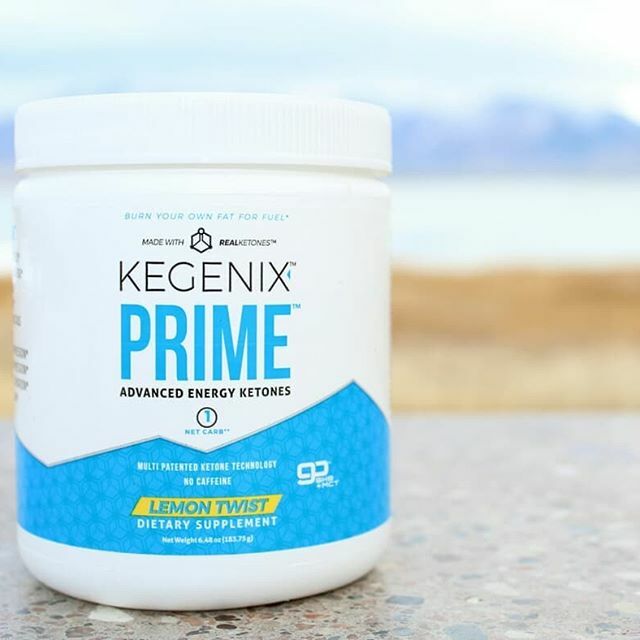 Kegenix PRIME is the first ketone supplement designed to provide CKS (Continuous Ketone Supplementation) to help your body sustain its beneficial ketone levels for consistent mitochondrial energy production. Kegenix PRIME’s multi-patented, proprietary, combination ketone formula allows for a unique phased ketone delivery process to assist in ketone and electrolyte absorption without interfering with the body’s own ketone production process. We believe one of the keys to achieving greater benefits from ketones is to provide the right ketone ratios to the blood and hepatic system in maintaining beneficial ketone levels. Ketones are the most powerful and the most preferred fuel your body produces. Ketones are produced when your body burns fat, whether that fat comes from your stored fat (greatest way to lose weight) or the fat you eat. Ketones come from burning fat while glucose is produced from burning carbs and SUGARS. Most people don’t know that Ketones have 225% more energy than carbs, are clean burning in your cells (less free radicals to damage cells) and have been scientifically shown to provide superior benefits like increased mental clarity, appetite and craving suppression, sleep improvement, reduced inflammation to name a few that you just don’t get from burning glucose. So with all those benefits, how do you get Ketones into your regular daily diet? There are two ways. The first and hardest way is to deplete your body of glucose and then eat a rather strict ketogenic diet (70% fat, 25% protein, 5% carbs). The second and easiest way is to take Kegenix Prime, which supplies your body with already created bio identical ketones and can additionally help your body produce its own Ketones. Either with Kegenix Prime or with the diet you will put your body into a natural metabolic state called Ketosis, which simply means your body is now using Ketones (fat) rather than Glucose (sugar/carbs) for its primary fuel. For those who feel maintaining a strict ketogenic diet (we absolutely recommend people reduce their carbs) is just too difficult, they should take Kegenix Prime multiple times throughout the day to keep their body refreshed with ketones (we call this CKS, Continuous Ketone Supplementation). And for those who want to support a paleo, low carb or Ketogenic lifestyle, Kegenix Prime is perfect to help them get into and maintain that lifestyle at a less strict carb level. But don’t take our word for it, just try Kegenix PRIME and feel what it does for you. With millions of servings under our belt, we know it works and customers have been enjoying the benefits of our multi-patented combination ketone technology for years now. The only thing you have to lose is weight, poor sleep, brain fog, hunger, cravings, and free radicals. Make your favorite drinks keto with PRIME! Check out some recipes below!